Wishing everyone an early HAPPY NEW YEAR!! As I posted earlier, Santa brought me a new sewing machine! I decided on the quilt I want to make, and purchased the last of the necessary supplies yesterday. I have a bunch of beautiful fabric given to me from my husband's family...when his mother passed. She was a beautiful quilter and I was honored to have her stash given to me. I've wanted to create something in her honor since receiving the stash, so I made some memory quilt hangings for all of the brothers and sisters...but now I'm going to make something bigger. I'm excited to use my new machine! Here's hoping it doesn't take me long to figure out all the bells and whistles! She'll be worked on 18 count aida in the color "bisque"....it's sort of a light pink-taupe color. Found the fabric on ebay for 2 bucks and the size fit perfectly!! The SKs (story keeps) are meant to be book marks when done on the smaller count fabric, but since I'm working it on the larger 18 count, it's going to be very long and not very wide....so I had to find the right fabric to work it on. The first page for this SAL (stitch a long) should arrive around January 6th, so I finished getting all my thread pre-cut and now I just need to finish gridding and I'm ready to go!! Cathedral has begun! 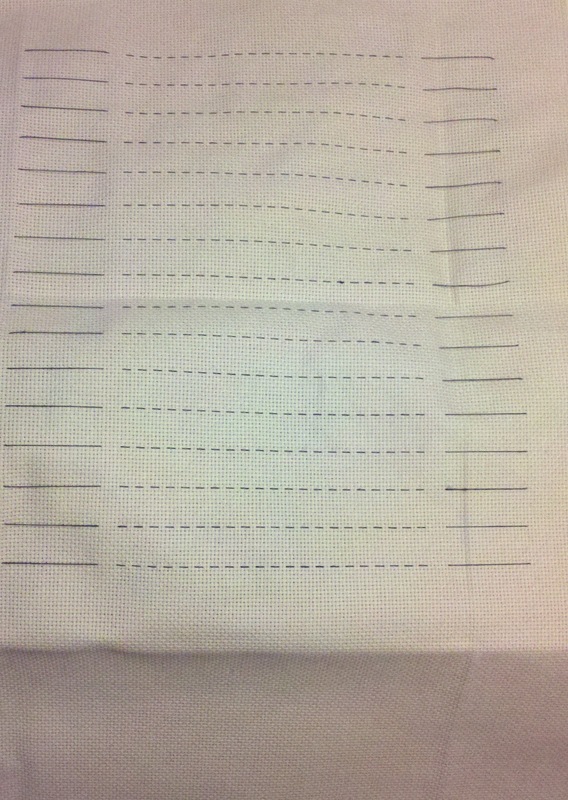 :) This is going to be my largest project ever and I finally starting some stitches. The lighting is really bad....sorry about that. This is the first half of the first page...out of 42 (Yes...FORTY TWO) pages! I'm so excited for 2012! I have a ton of projects on the list in my head...that consist of cross stitching, sewing and crochet/knitting. What projects do all of you have on your 2012 list to do? I'm looking forward to seeing what everyone accomplishes in the new year!! Making the quilts is a great way to use the stash you acquired. Good luck with those! Your stitching looks great. Good with the SAL. I went crazy earlier today making my final WIPocalypse list. 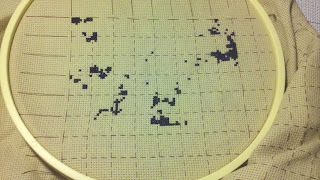 Of course now I found at least 100 other pieces I want to stitch. 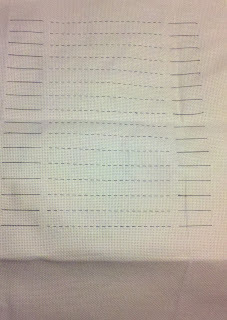 I can't believe how much I want to stitch in 2012. I definitely need more time! I look forward to watching what you stitch. Your gridding looks very nice. 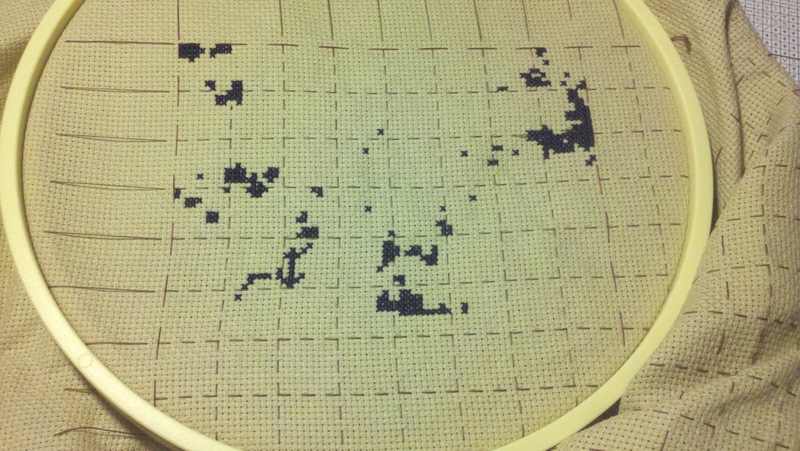 I'm going to start my first HAED on Jan 1st and I haven't gridded it yet. Do you use regular floss or sewing thread or something else? Good luck with your quilting. Your new start looks great. Look forward to seeing your Blue Moon progress. 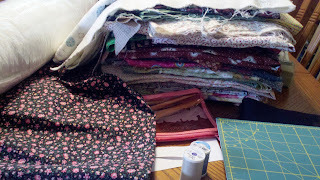 good luck dear with your quilting..
new start is looking so lovely.. Thanks everyone!! I can't wait to see everything you're workingon this year! Debbie - I grid with some quilting thread called "glazed" thread...it has sort of a coating on it so I don't poke through it or get it caught when I'm stitching. Great new starts for this year. I'm excited for my stitchy plans for this year too! A quick update...before the Holiday is here!